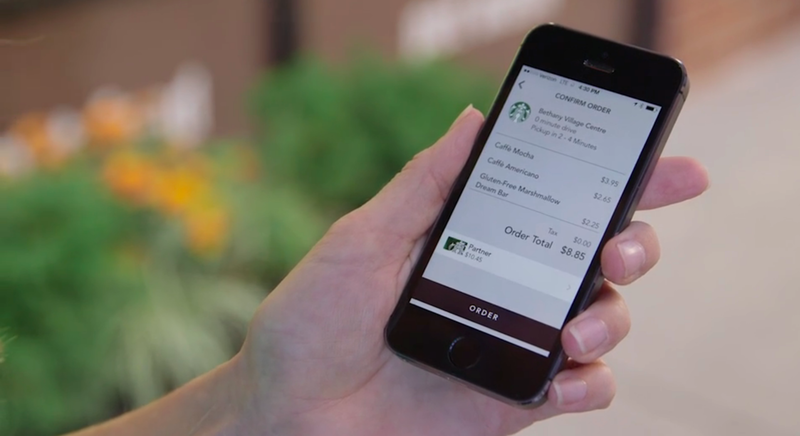 Starbucks is upping the ante in the mobile space by adding an ordering option to its payment app. In an interview with the Toronto Star, Starbucks Canada President Rossann Williams revealed that the coffee chain plans to bring its ‘mobile order and pay’ feature to Canada this year. Starbucks launched a pilot in Portland last December and plans to roll it out across the United States sometime this year. The mobile payment option is currently available on iOS, allowing customers to place food or beverage orders in advance and pick it up at the closest Starbucks location. Starbucks is also planning to update its Android app to accept the mobile order and pay feature. Another coffee outfit, Tim Hortons, is going through some tremendous changes as of late. The company was acquired by Burger King last year and just recently laid off 350 people. However, it’s also working to improve customer experience. Last year, the company rolled out a barcode scan-to-pay feature that allows users of the TimmyMe app to pay for their orders using their phone.